We have reached the end of the 2018-2019 financial year and as a Mission we begin to take stock of our achievements that have been made through the year, and we look forward to our activities that will shape our interactions with Northern Italy in the 2019-2020 financial year. In 2018 the Mission engaged in a number of regional visits, notably to the Veneto, Piedmont, Friuli-Venezia-Giulia and Liguria regions where steps were taken to enhance South Africa’s co-operation with both government and the private sector in fields such as energy, manufacturing, water & sanitation, infrastructure development, and fashion and textiles. Additionally, the Mission took part in numerous activities to promote the 100 years of the birth of our great national (and international) icon, Nelson Mandela. Through the Mission’s activities the spirit of Nelson Mandela, his values and his ideals were carried forward from young to old in our area of jurisdiction. 2018 also played host to the inaugural President’s Investment Summit called by President Ramaphosa in order to bring together businesses to commit towards investment in South Africa. Of the foreign investors, Germany stood out as the leader in terms of commitments. In 2019, it is intended that another such Summit will take place, and through the work of the Consulate we hope that there will be more companies from Italy represented at the Summit, committing to shared economic growth and prosperity. Despite the difficult economic conditions that are being experienced by South Africa at the moment, there are positive moves that seek to boost and enhance our economic development. As such, the Mission continues to engage potential investors and partners on possible collaboration in various sectors to encourage the uptake of strategic investment opportunities. The Consulate encourages the Italian business community to look at South Africa and engage with the inherent potential that is to be found in South Africa, harnessing the growth potential in the economy moving forward. We affirm our position, and the fact, that South Africa is the most stable and developed economy on the continent and the standings within South Africa’s World Bank Ease of Doing Business index continue to remain strong in a number of areas and showcase the strong regulatory environment in the country that ensures safety of investments. With the Tri-partite Free Trade area, and now the Continental Free Trade Area, there are enhanced opportunities for businesses and investors in engaging with South Africa as the Gateway to Africa. We continue to work towards the realisation of the National Development Plan and the AfricanUnion Agenda 2063. 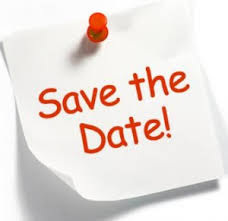 On 27 April 2019 South African citizens abroad who are eligible to vote will have the opportunity to cast their ballots at the Consulate-General in Milan. This activity highlights South Africa’s strong commitment to democratic governance, ensuring that even those not in South Africa have a voice as to the direction Government is taking. National voting for those that are in South Africa on Election Day will take place on 8 May 2019. However, please note that even if travel plans have changed, if you have completed a VEC10 form to vote in Milan you will not be able to vote in South Africa in these elections. 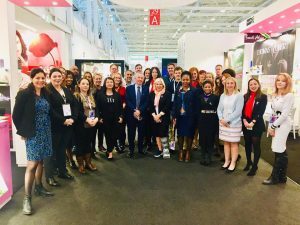 South Africa participated for the first time with a National Pavillion at COSMOPROF, the global meeting platform for the professional beauty world, which took place in Bologna from 15 to 18 March 2019. The National Pavilion featured fourteen cosmetics manufacturers and the Cosmetics Export Council (CECOSA), which facilitates and assists export opportunities for brand owners and manufacturers in the sector highlighting their world-class cosmetic products to the global market. Amongst the products showcased there were new, totally natural products including homeopathic, aromatherapy massage oils, body and skin care products, perfumes and essences, facials, make-up, scrubs and serums made with organic raw materials. Over the last two years the SA cosmetics industry has experienced an estimated compound annual growth rate of 4.6%. The value of the sector, which includes the manufacture of cosmetics, perfumes and other personal care preparations, is estimated to have grown to Euro 1.76bn at retail level and Euro 1.26bn at manufacturing level. In the formal cosmetics sector there are approximately 250 companies that employ more than 60,000 people. South Africa exported cosmetics to the value of Euro 505m in 2016, representing an increase of nearly 35% compared to 2013. The largest cosmetics category focusing on make-up, skin care and nails, increased exports by 45% from a value of Euro 148m in 2013 to Euro 217m in 2016. SouthAfrican Development Community (SADC) countries remain South Africa‘s major trading partners. The South African Department of Arts and Culture has appointed Nkule Mabaso and Nomusa Makhubu to curate The South African Pavilion at the 58th International Art Exhibition. 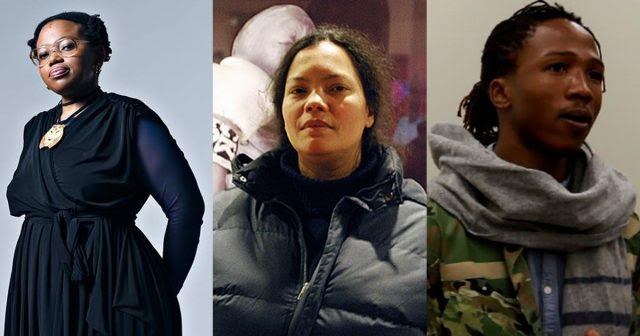 The South African Pavilion will showcase works by the artists Dineo Seshee Bopape, Tracey Rose and Mawande Ka Zenzile from 11 May to 24 November 2019. The commissioner, Consul-General Titi Nxumalo will work alongside the Natal Collective PTY Ltd to organize The South African Pavilion. South Africa’s participation at the La Biennale di Venezia is made possible through the support from The Department of Arts and Culture. The three artists that have been selected to represent South Africa explore the themes of social, political and economic resilience under the title “The Stronger We Become”. The South African Pavilion is aimed at capturing the collective fortitude of South Africans and is in response to the 2019 curatorial theme, May You Live In Interesting Time, set by Ralph Rugoff. Rugoff suggests “uncertainty, crisis and turmoil” makes it necessary to focus on “art’s social function as embracing both pleasure and critical thinking. The exhibition’s curators, Nkule Mabaso and Nomusa Makhubu, who are both based at the University of Cape Town, say, “The proposed theme engages with the determination and tenacious spirit of SouthAfricans.” It is also informed by the emphasis, in South Africa, on social cohesion in a previously divided country which tends to “overlook and downplay the tenacity required to overcome difficult histories and harsh socio-economic conditions” many South Africans have and continue to find themselves in. We remind our readers that all enquiries pertaining to visas, permits, minors travelling to South Africa, and to all civic matters for SouthAfrican citizens living in Northern Italy must be forwarded to our Consular Section at consular.milan@dirco.gov.za. Should you wish to fix an appointment with the Consular Section, please contact us at 02/8858581.